Rear brakes, sadly, are often misused, by NOT being used at all! For any kind of riding, your rear brake should be put into action. Some forms of riding require more use, whereas others not as much. 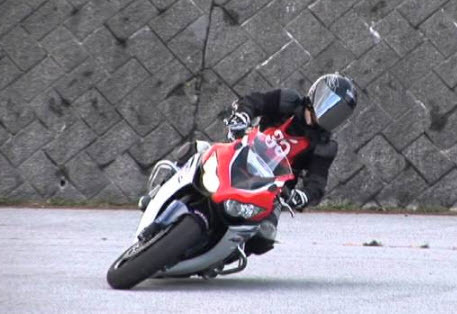 But in any aspect of motorcycle riding whether you’re riding dirt (used constantly) or street (where it varies) you really want to learn to utilize that right foot. How much do you really want to demand of a tire that is already being used to turn (rotate) the motorcycle? Utilizing the rear brake does two main things: 1. helps to slow the motorcycle down in conjunction with the front when the bike is more upright 2. while in the turn/rotation, it settles the motorcycle down by slightly/slowly compressing the suspension (front/back), also ever so slightly shortening the wheelbase of the motorcycle, which allows a larger percentage of the grip of the front tire to be used to stir/rotate the motorcycle instead of slowing the motorcycle down. 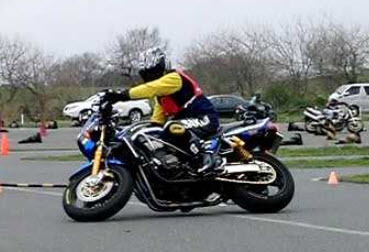 In addition it also allows the rear of the motorcycle to stay somewhat lower (suspension squashed) so that when you are coming out of a turn the bike can drive out of the turn more efficiently w/out compressing excessively under acceleration.